A memorial left for motorist Philando Castile on July 7, 2016, in St. Paul, Minn., the day after he was shot and killed by Jeronimo Yanez, a police officer who had pulled him over. Drive around this mostly white Minnesota suburb that sits between Minneapolis and St. Paul and you'll see signs in some front yards saying: "Falcon Heights — the nation is watching." It was here on Larpenteur Ave., a four-lane road that borders the Minnesota State Fairgrounds, that St. Anthony police officer Jeronimo Yanez pulled over a 1997 Oldsmobile on the evening of July 6, 2016. Over the police radio, Yanez told his partner that he thought the driver fit the description of a suspect in a convenience store robbery that happened down the road just a few days earlier. He told the driver and passenger that he was pulling them over for a broken brake light. Seventy-four seconds after Yanez activated his squad lights, he fired the last of seven shots into the car, fatally injuring the 32-year-old driver, Philando Castile. As Castile slumped over, dying, his girlfriend, Diamond Reynolds, began live-streaming on Facebook. Her 4-year-old daughter watched from the back seat. Now, Yanez faces manslaughter and weapons charges tied to the shooting. Jury selection begins Tuesday in what's believed to be the first time a Minnesota police officer has been indicted for shooting a civilian while on duty. At meetings with city leaders over the last year, many residents said Castile's death came amid a long history of racial profiling of drivers passing through this town. The police department is undergoing a voluntary review by the U.S. Justice Department. File photo provided by the Ramsey County Sheriff's Office of Jeronimo Yanez, who who shot and killed Philando Castile last July. While taking a break from mowing his lawn, 54-year-old Ron Brisbois says he hasn't reached any conclusions about the case, but he is glad the process will play out in a public courtroom. "I think it was appropriate that charges were filed, and I think it's appropriate now that a jury will hear the testimony," he says. "I think that's the way the system is intended to work." Castile, who worked for years as a school cafeteria supervisor, had a handgun he was licensed to carry in his pocket the night he was pulled over. 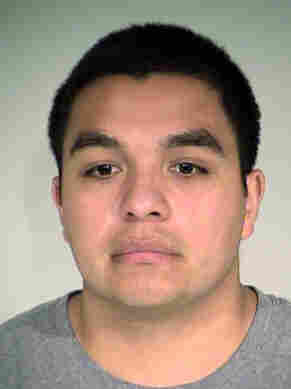 Prosecutors say he told Yanez about the gun before trying to pull out his driver's license when the officer asked for it. They also say Yanez warned Castile three times not to remove the gun, and Castile said repeatedly that he was not going for his weapon. 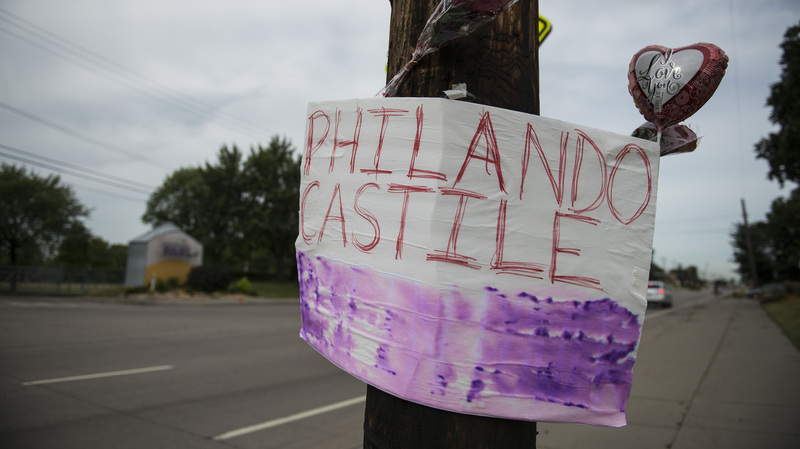 According to the criminal complaint, Castile's last words were: "I wasn't reaching for it." As the video rocketed around social media, weeks of protests shut down freeways in the Twin Cities and spurred an encampment outside the governor's residence. Four months after the shooting, Ramsey County Attorney John Choi charged Yanez with second-degree manslaughter and two counts of dangerous discharge of a firearm. Yanez told state investigators that he feared for his life, but Choi argues Castile never threatened the officer. "The mere mention or presence of a firearm alone cannot justify the use of deadly force," Choi says. The officer's attorneys tried to get a judge to dismiss the case. They argued, among other things, that Castile was negligent in his own death. The defense lawyers claim he was driving while high on marijuana and did not follow Yanez's commands. Phil Stinson, a professor of criminal justice at Bowling Green State University in Ohio, says police officers shoot and kill people about 900 to 1,000 times per year. Since 2005, Stinson says, 80 officers were charged with murder or manslaughter and just a third were convicted. Along Larpenteur Ave., near the spot where Castile died, the temporary memorials of balloons and candles are gone. In their place is a modest, three-sided polished wooden monument. The words of Castile's mother, Valerie, are inscribed on one side. Noting her son's soft-spoken nature, it reads: "You never talked much here. But you're making a lot of noise now."